If you were wondering which is the world’s fastest car, you’re in luck, because we’re about to take a look at the fastest cars in the world 2017! Although we have countless ways to measure a car’s performance, we’re, of course, going to go for the top speed. This is a top 10 of the Fastest Cars In The World as of the end of 2016 and beginning of 2017 based solely on the top speed a production car can reach. The problem with finding the world’s fastest production car is the fact that it is a “production car” because there’s a very thin line from in-line car to super-race-car. 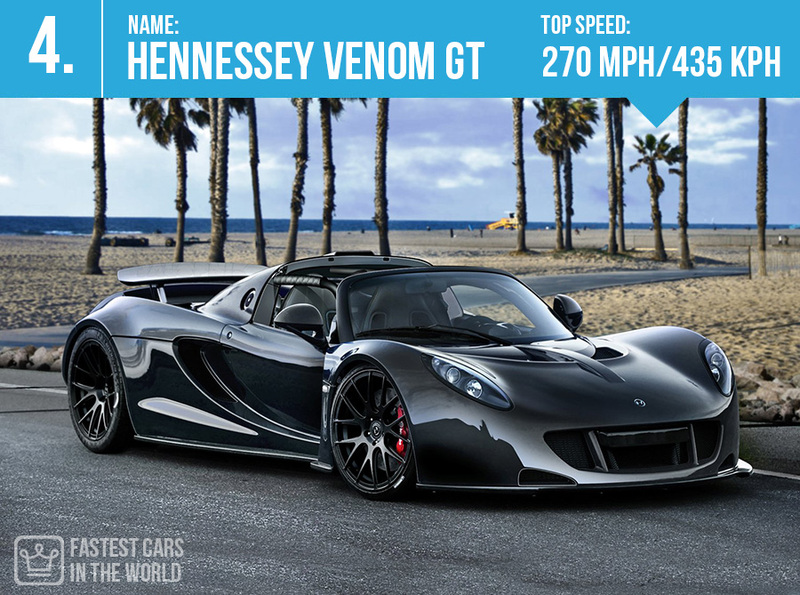 Here is a list of the 10 fastest cars in the world. The following are all street legal production cars, which have speeds that have been (mostly) verified in some one shape or another. That means no SSC Tuatara, at least not yet, but it does merit a mention in this ranking. 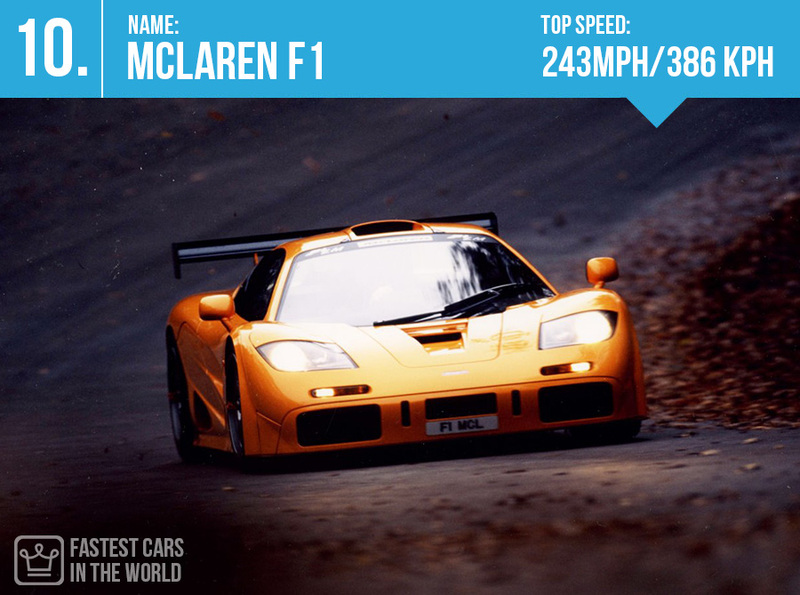 #10 McLaren F1 – Top speed: 243 mph/386 kph. Base price: 1 million dollars… but good luck with that. Since there were only a very few made, car collectors have been fighting each other for them. Just recently one McLaren F1 was sold at auction for 13.5 million dollars making it one of the most expensive cars in the world. Apparently the owner is driving it around town. 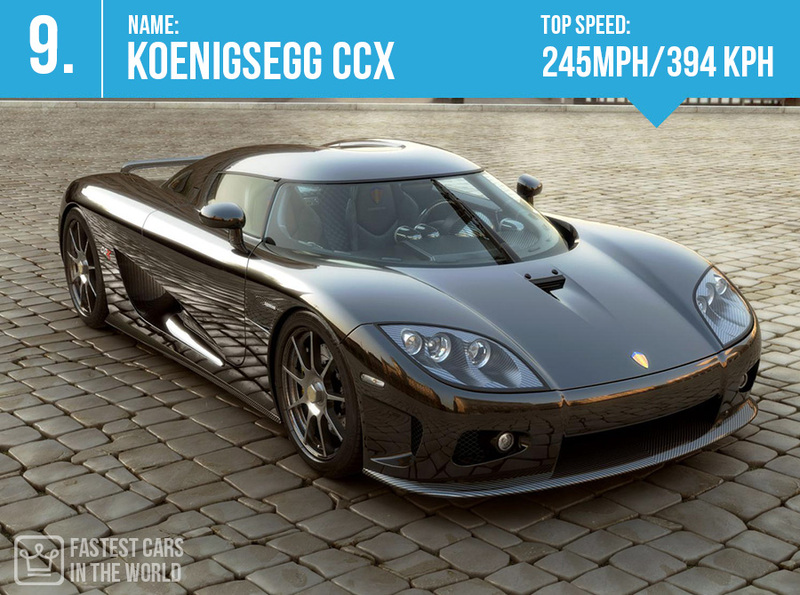 #9 Koenigsegg CCX ~ Top Speed: 245 mph/394 kph. Price tag: 4.8 million dollars. Only 3 Trevita cars were produced. 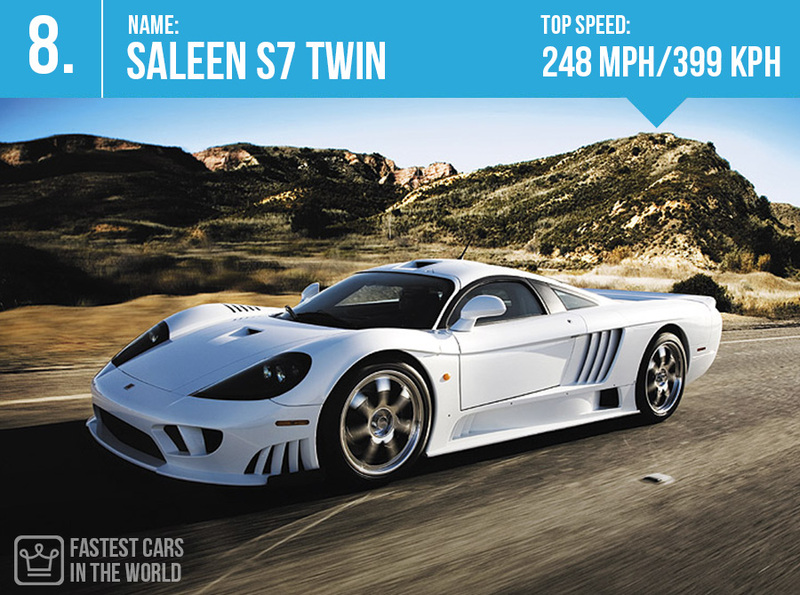 #8 Saleen S7 Twin – Top Speed: 248 mph/399 kph. 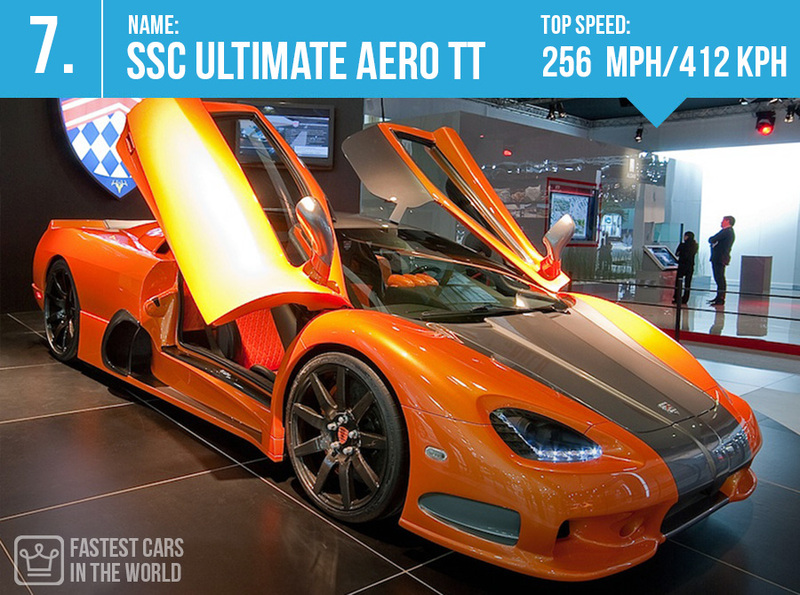 #7 SSC Ultimate Aero TT – Top Speed: 256 mph/412 kph. When released this was the crown jewel of the Shelby Company. 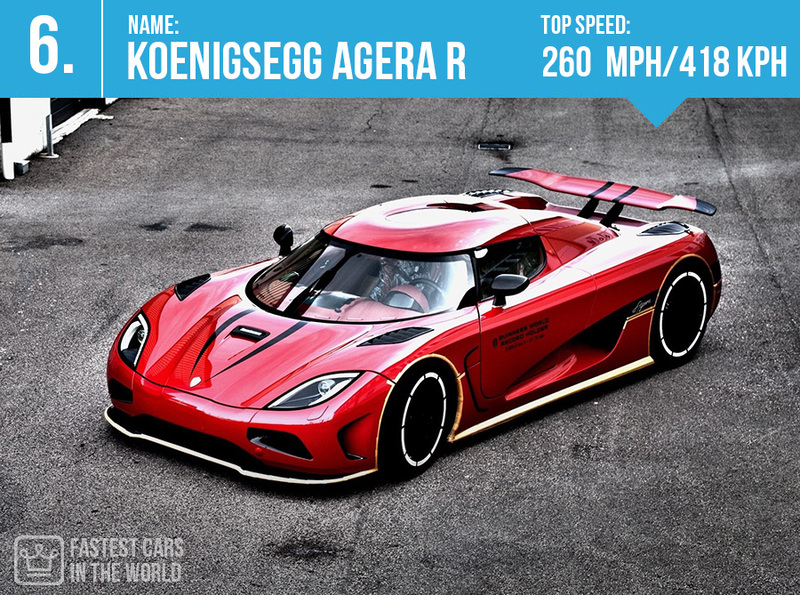 #6 Koenigsegg Agera R – Top speed 260 mph/418 kph. Price tag: 1.6 million dollars. Despite having a theoretical top speed of 273 miles per hour, there isn’t any official recording over 260. 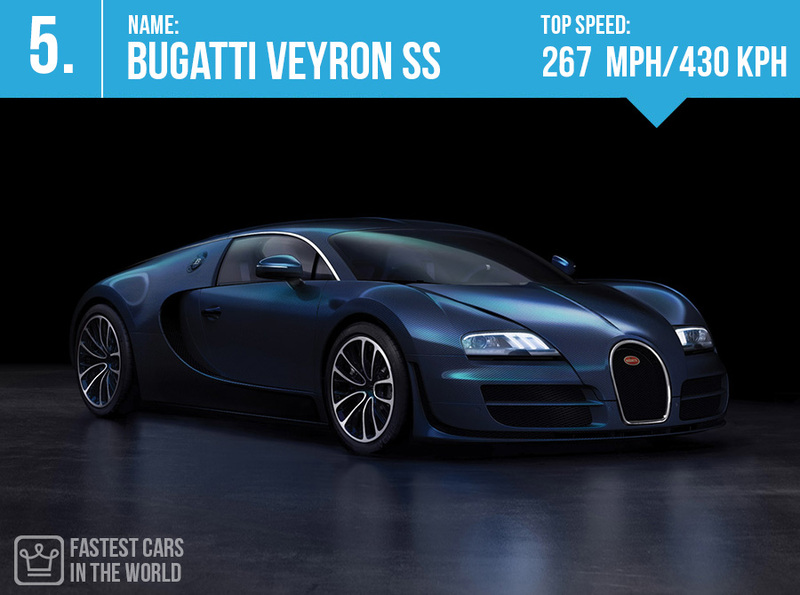 #5 Bugatti Veyron Super Sport – Top Speed: 267 mph/430 kph. Price tag: 1.9 million dollars. 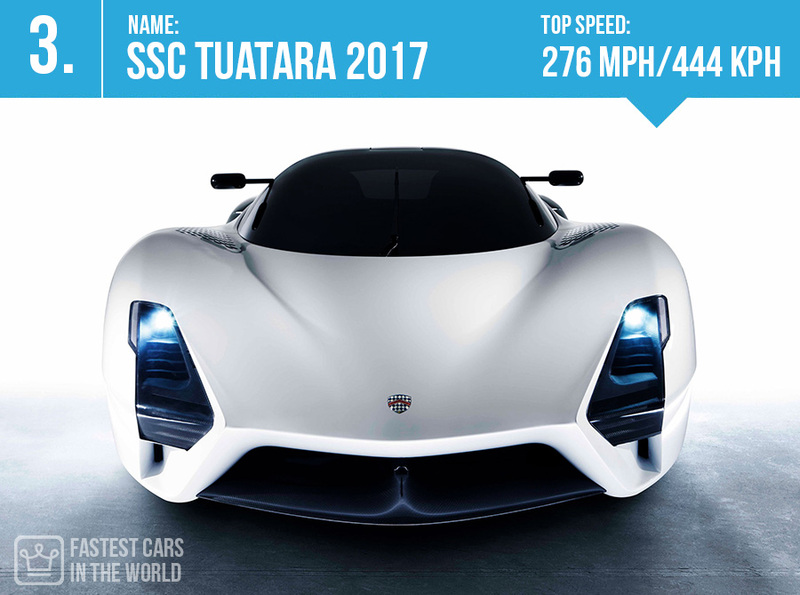 #3 SSC Tuatara 2017 – Top Speed: 276 mph/444 kph. This is the follow-up from the Ultimate Aero, that’s been in development since 2011. 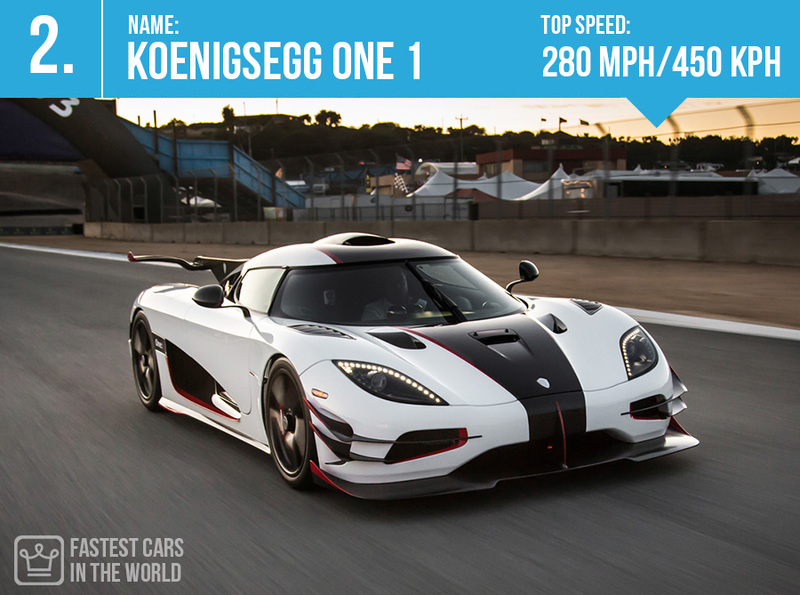 #2 Koenigsegg One 1 – Technical top speed: 280 mph/450 kph. Towards the end of last year, they made a special car to mark the sale of their hundred piece, named Hundra, that sold for: 4.2 million dollars in Singapore. 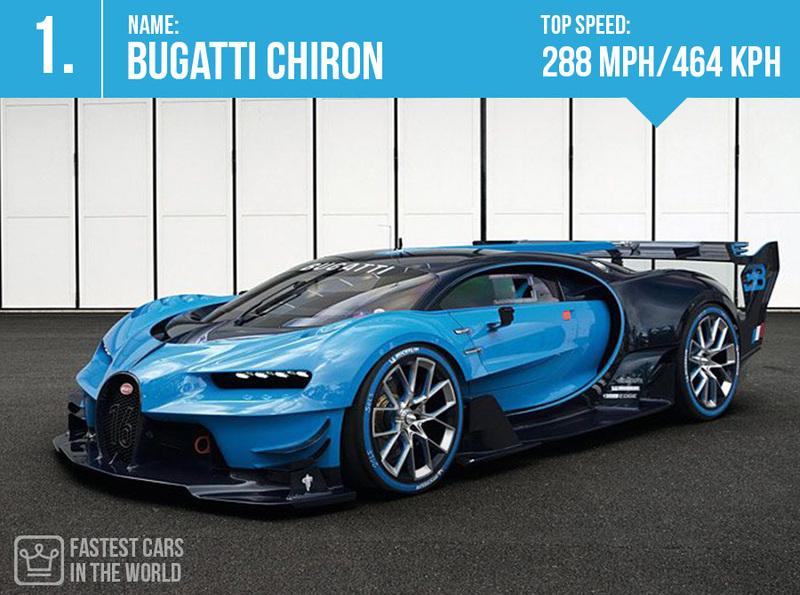 The Bugatti Chiron is currently the fastest car in the world 2017 with a top speed of 288 mph (464 Km/h). It could even go faster but it’s electronically programmed to not go over the 288 mph limit. If you’d like to know more about the world’s fastest car in terms of top speed, you can read these 10 things you need to know about the Bugatti Chiron! This was a quick top 10 of the Fastest Cars In The World! Hope you guys enjoyed it and as usual if you have any questions leave them in the comments bellow and we’ll do our best to answer them! That ends our article on these luxurious automobiles and with 2016 just around the corner we look forward to a new top and a new video! Stay tuned! Sorry, but the Koenigsegg Agera RS is, currently, the World’s fastest production car, with a maximum speed of 284mph. But nice try – can’t you use Google?